If you happen to stop by our button making shop on Powell & Victoria Street in Vancouver, there is one thing we can guarantee you, you will always hear a static sound of a radio faintly in the background. 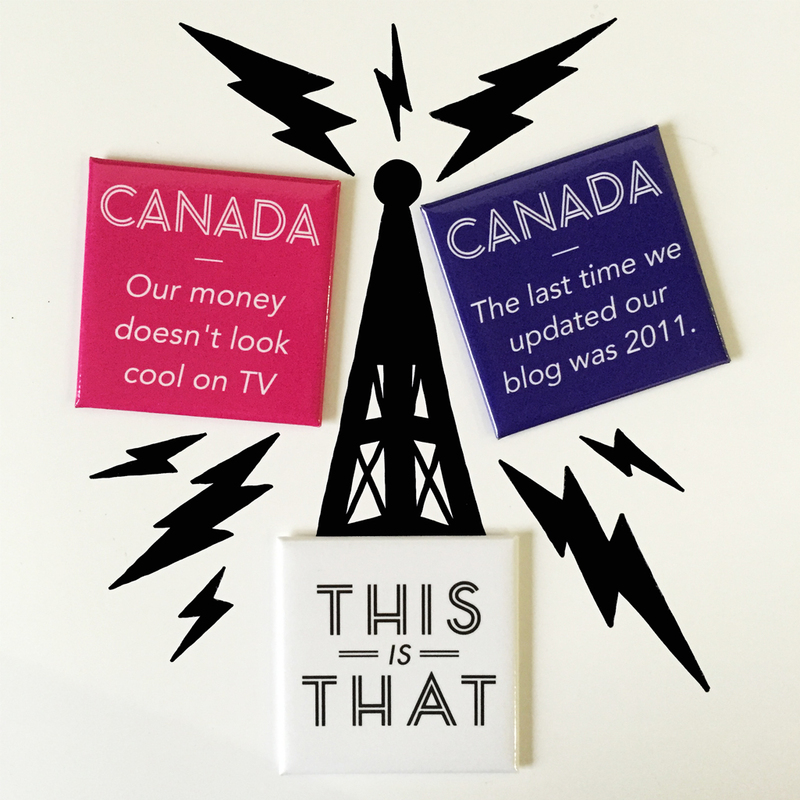 We have been loyal listeners of CBC radio 1 for long as we can remember. Our day always starts off with the tail end of “The Early Edition” with Rick Cluff, followed by the “Current” with Anna Maria Tremonti. The Current takes us right to 10 o’clock break. This is when we turn down the radio for 15 minutes while we all collectively play with the dog, tell jokes, make snacks and check phones. Radio Q was always a much anticipated program but since the Jian Ghomeshi scandal, Q has not been the same. Q would take us to 11:30. This time slot 11:30 – 12 is pretty uneventful unless…..its Thursday, then that means This Is That is about to start. This is our favourite radio show of the week.